Welcome to your home away from home! Private three bedroom, two bathroom vacation home in located in a quiet part of a gated community that is perfect for families or friends looking to take advantage of all that central Florida has to offer. 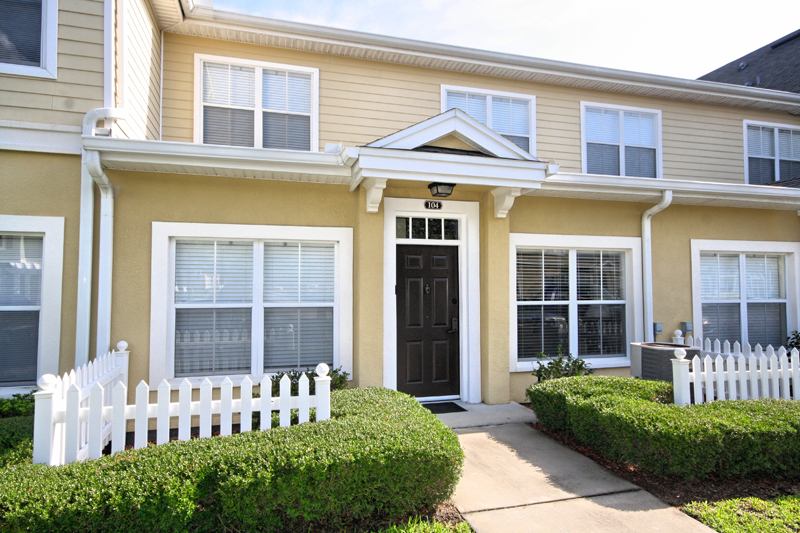 Venetian Bay Villages is just off HWY 192, in Kissimmee, Florida and is in a perfect location to get to all that Orlando has to offer including all the Disney World parks, Universal Studios, and Sea World, not to mention hundreds of nearby shops, restaurants, and other local attractions. 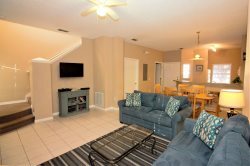 This condo is also only about a 75 minute drive to the Tampa Bay area as well as the Space Coast and the Kennedy Space Center. This vacation home includes new furnishings, wireless internet, cable, a DVD player and a selection of family friendly movies, and flat screen TVs in every bedroom and the lounge room. The family room opens to the dining room and the kitchen so that you can socialize while enjoying a great meal prepared in your own fully equipped kitchen. Spacious sleeping accommodations await you with three bright, roomy bedrooms. The main floor master bedroom opens onto an attached ensuite bath with a big shower and a deep, jetted tub. The washing machine and dryer are located on the main floor, adjacent to the kitchen. Upstairs, there are four twin beds, two in each bedroom – a perfect separation from the main floor downstairs. A crib and stroller are also available to save you from having to bring them with you. Community amenities include several pools, basketball and tennis courts, a sand volleyball court, and several childrens’ playgrounds and grills/barbeque areas. The clubhouse has a well-equipped fitness room, game room, computer room and theater room which has movies regularly shown on the big screen. Feel safe during your stay at Venetian Bay as it is a gated, guarded community with great and friendly staff. There is also a local on-site management company that is just a phone call away. I believe I dealt with Angela, very pleasant and helpful .